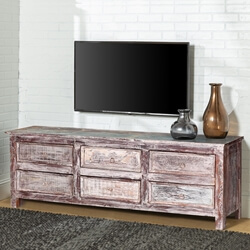 Be a trendsetter by choosing our Gibsland Unique Reclaimed Wood Furniture Media Console TV Stand – a retro piece that instantly makes a statement! 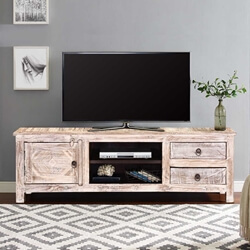 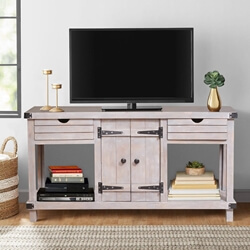 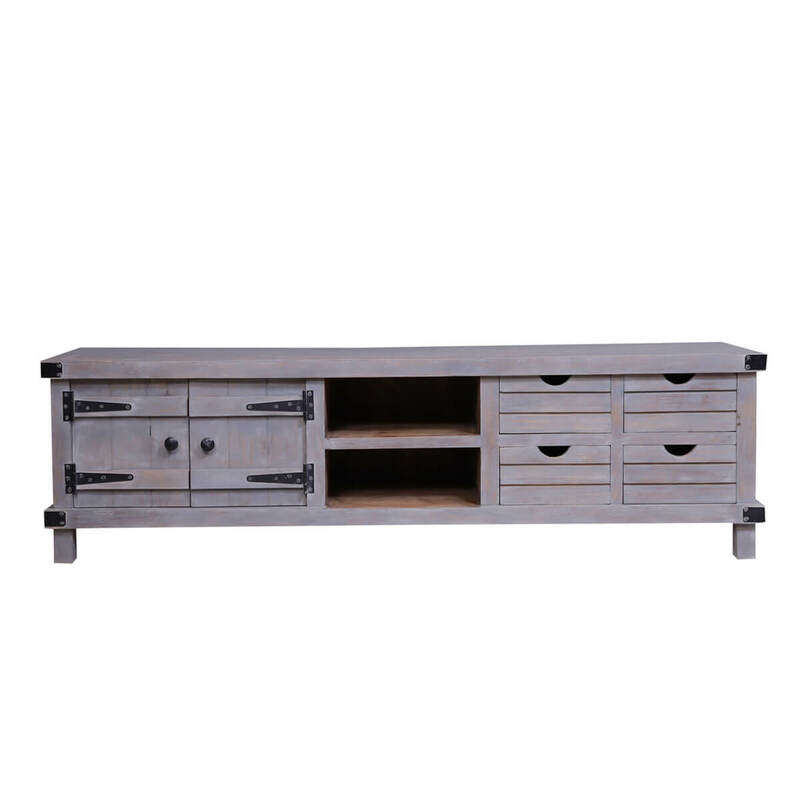 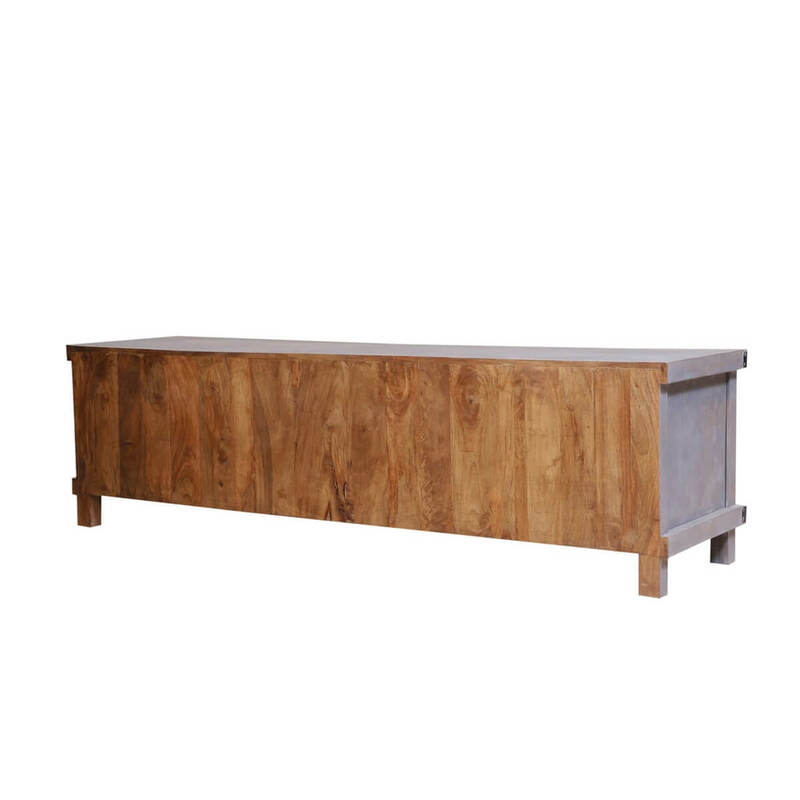 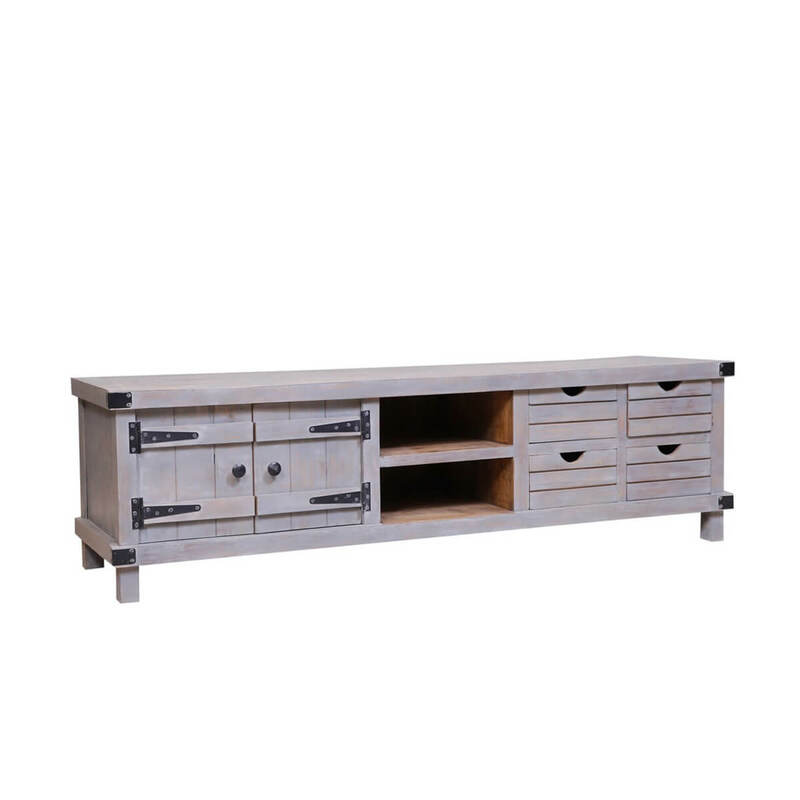 Featuring a low height, a rectangular shape, and a wholly unique design, this rustic media console has the potential to be the centerpiece in your living rooms. 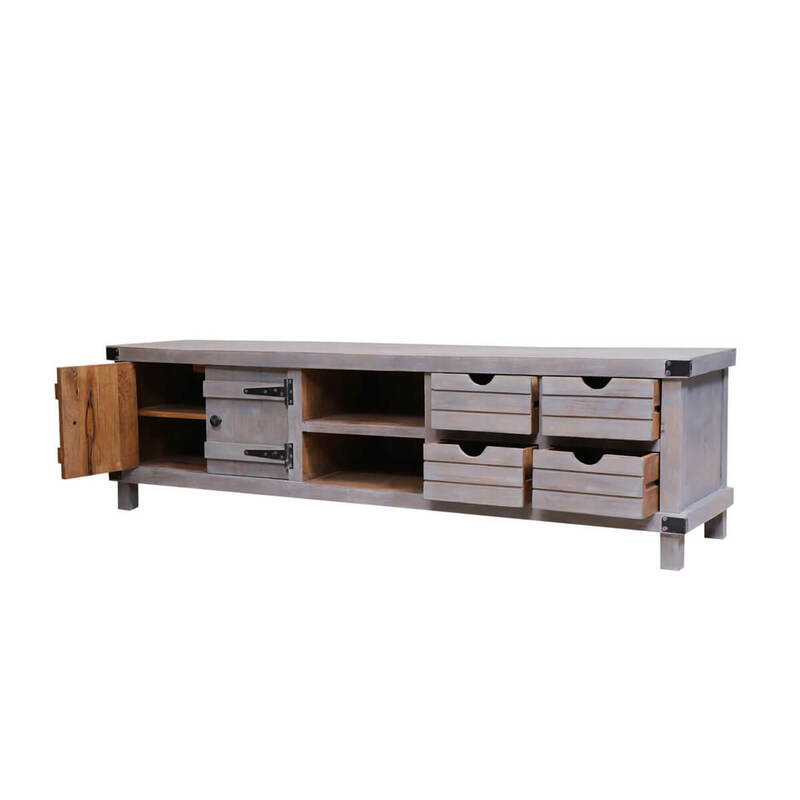 It has been handcrafted from the most durable solid reclaimed wood pieces and warrants an excellent heirloom quality to boot! 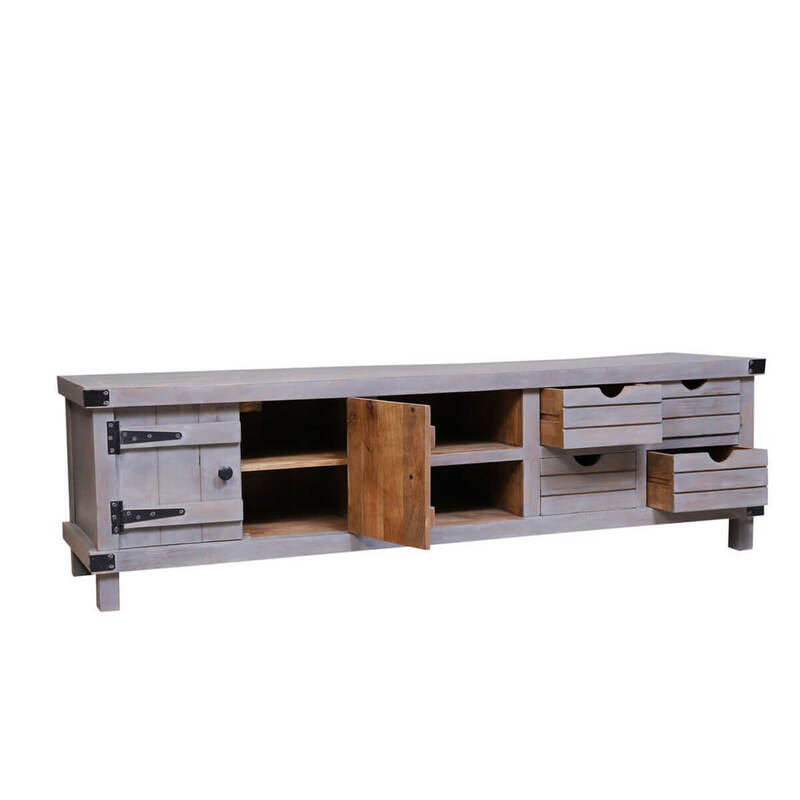 Its design consists of an extended top frame that has stylish metal brackets on each end. 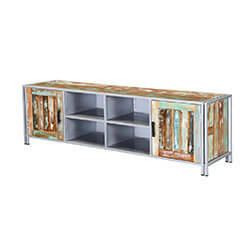 The main body is divided into 3 parts – there’s a double-door cabinet on the left with stylish metal hardware, 2 open shelves stacked on top of each other in the middle, and 4 pullout drawers with cutout handles on the right. 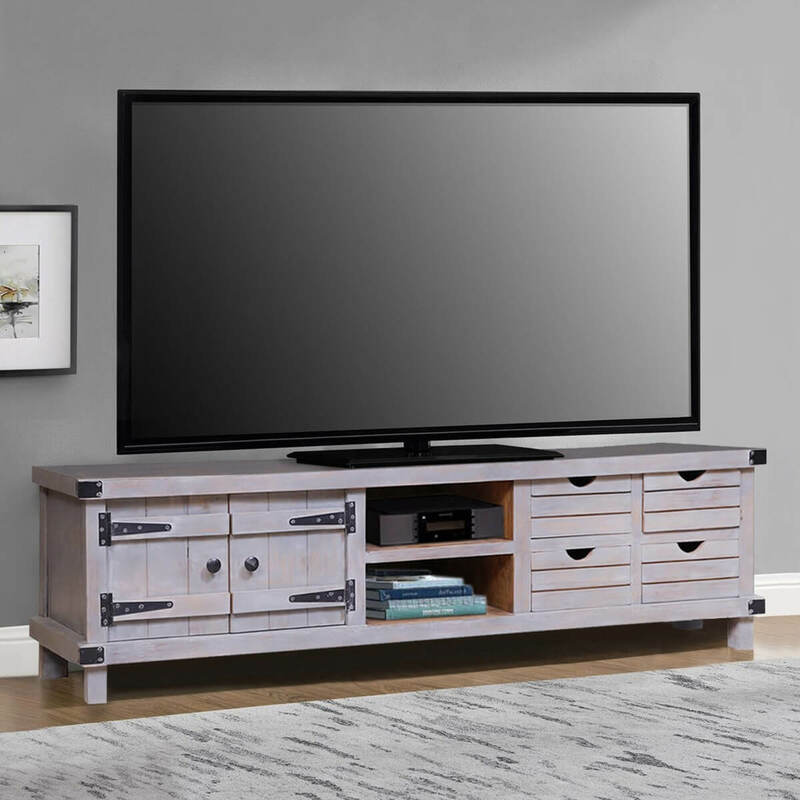 There’s an ample amount of storage space, so both the visuals and pragmatics of this solid wood TV stand are pretty impressive. 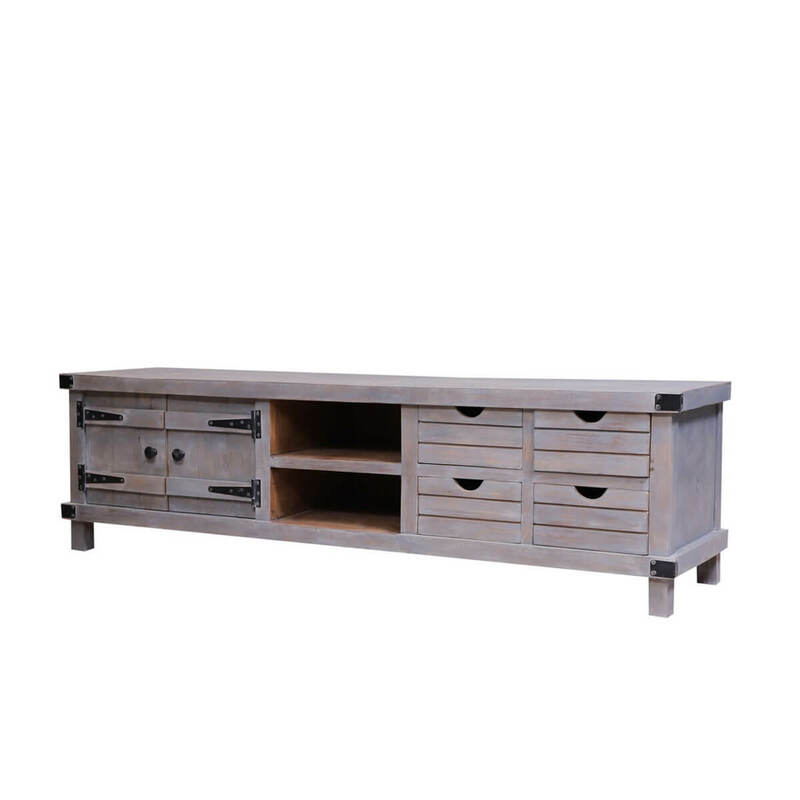 It ends with rectangular feet and a smooth grey finish. 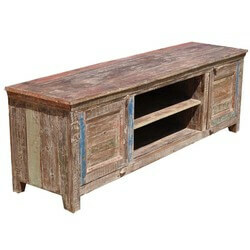 The overall quality of this solid wood media console is highly spectacular. 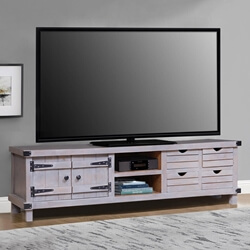 It is even complemented by a flexibility that allows it to be featured in a number of interior design styles, including retro, farmhouse, industrial, and more.